The Assam government on Tuesday imposed ban on the imported fish for next 10 days following detection of formalin in fish brought from Andhra Pradesh. Sale of such fish has been completely prohibited during this period. 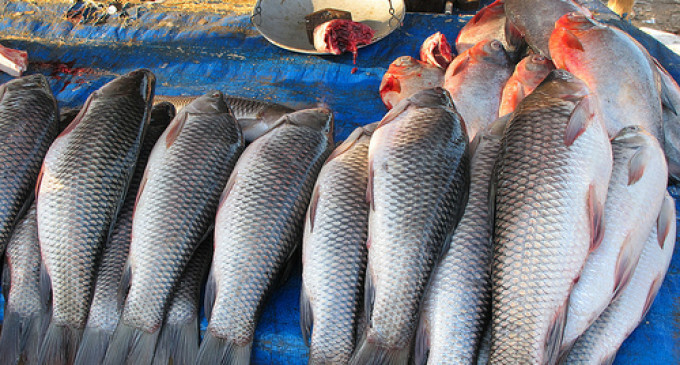 Minister of state for health and family welfare Pijush Hazarika told reporters that samples of fish collected from the wholesale fish market at Betkuchi on June 29 have tested positive for formalin, which is harmful for health. He said the analysis of the fish samples were conducted at the State Public Health Laboratory, Assam, at Bamunimaidam here. Formalin is a cancer-inducing chemical used illegally to preserve fish. It is a colourless solution (about 40 per cent) of formaldehyde, a pungent gas highly toxic to human health. Formalin is used to preserve bodies in mortuaries and medical laboratories. Exposure to formaldehyde has been shown to cause cancer in animal studies. Hazarika said according to Section 3(1) (zz) (v) of Food Safety and Standards Act, 2006, formalin is not permitted in any food item. He said after 10 days, the traders will be allowed to import fish from outside the state but they will have to give an undertaking that the fish does not contain formalin. “Our surprise checks will continue and anybody found importing or selling fish laced with formalin will have to face imprisonment up to seven years and fine of Rs 10 lakh as per provisions of the Food Safety and Standards Act, 2006,” The Telegraph quoted the minister as saying. He said they have imposed a temporary ban for 10 days because a permanent ban on imported fish is no possible since Assam is yet to be self-sufficient in fish production and there is a huge demand of fish in the state. Assam imports fish mostly from Andhra Pradesh, Bengal, Uttar Pradesh and Bihar. “Our surprise checks will not be confined to Guwahati and will be carried out across the state. I will also discuss the matter with food and civil supplies minister and consumer affairs minister Phani Bhusan Choudhury,” Hazarika said. Manipur and Nagaland have banned import of fish from outside following detection of presence of formalin.